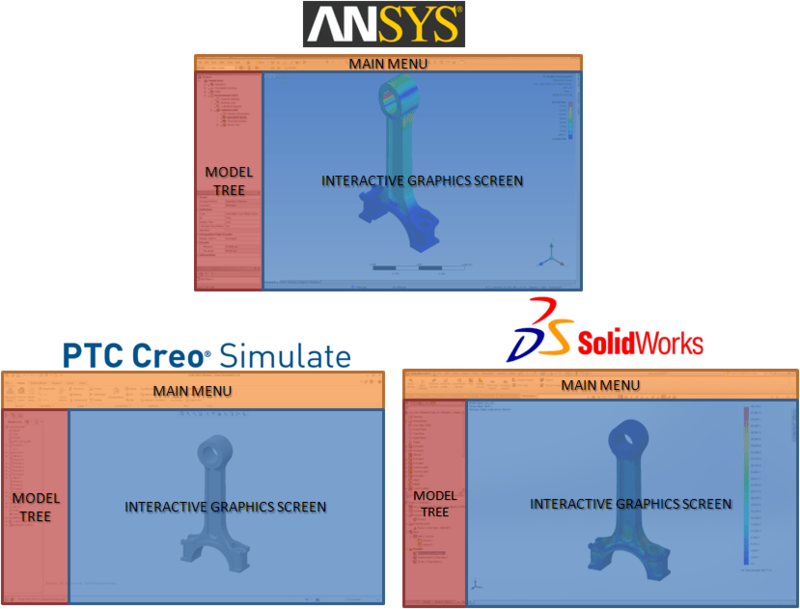 3D simulation tools are designed to put the laws of physics AT YOUR FINGERTIPS. The design process can be dynamic and hands-on, and so should be your FEA training. Here at Design Engine, we deliver a PROJECT-BASED, WEB-DELIVERED, INTERACTIVE learning experience. Software tools are not learned by reading, they are learned by DOING. At Design Engine, there is no book! When you become a Design Engine student, you gain permanent lifetime access to hundreds of our unique software tutorials that are designed to train your hand and challenge your brain. The goal of our FEA classes is to cover the process – THE WORKFLOW – of successfully simulating real-world environments. We cover all types of physics and discuss all of the tips and tricks to getting accurate solutions as quickly as possible. We have open-ended discussions about numerical methods, time management, test data correlation and design automation. The goal of this curriculum is to look past the software’s Graphical User Interface (GUI) itself (as you can see above, it’s becoming quite constant across software platforms) and into the workflow of physics simulation. After an FEA class at Design Engine, you will have MORE KNOWLEDGE and MORE RESOURCES to be a BETTER DESIGNER.